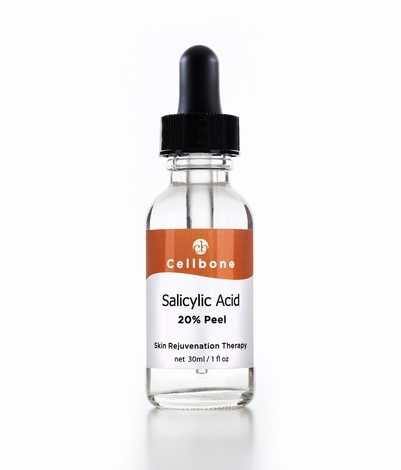 Salicylic Acid 20% Peel easily penetrates into your skin to clean clogged pores and exfoliate outer layers of dead skin cells that dull your complexion and immediately expose a clear, softer, more radiant face. 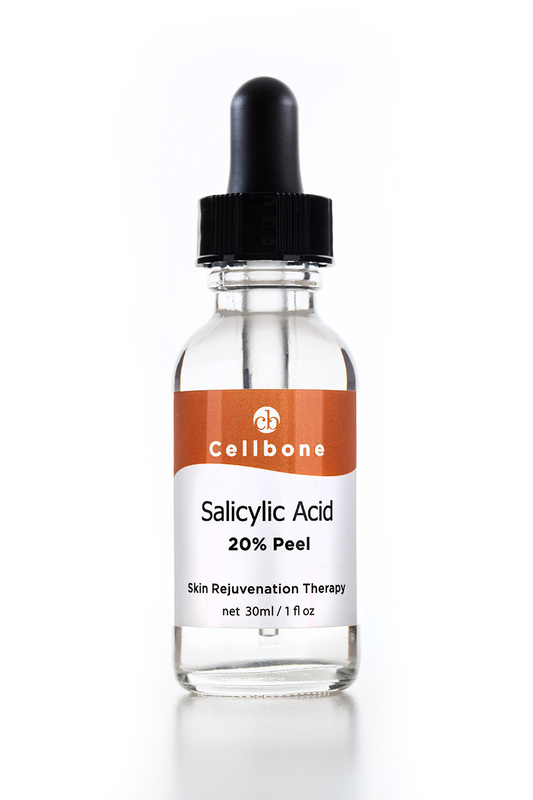 At the same time, the Salicylic Acid peel will stimulate the growth of new cells so that your complexion will continue to stay healthy looking. Salicylic Acid, a Beta Hydroxy Acid, is used topically to treat skin disorders, such as acne, dandruff, psoriasis, dermatitis of the skin. Test on a small area of the skin behind the ear before applying to face. If irritation or redness occur, do not apply to face. Apply a few drops on clean, dry skin and wait for 1 to 2 minutes. Wash off with cold water. Follow with Cellbone Hydra B5+ or Copper peptide (CP+) Gel or moisturizer of your choice. Use once a week. Use sunscreen.